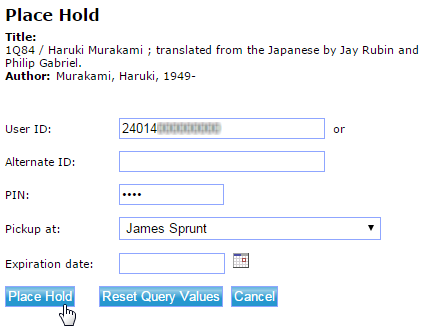 First, check whether a book is available at JSCC by searching the library catalog. If you can't find something in our library, return to the main catalog search page and choose "ALL" from the library drop-down menu – this lets you search the holdings of most community colleges in the state. When you find a book you want at another college, click on the "Place Hold" link. Enter your library barcode number in the "User ID" field and your password in the "PIN" field. Then, press Enter or the "Place Hold" button to request the item. You'll then see a confirmation that your request has been submitted. You may also contact the library staff to place your request. Can't find what you need in our system? Try searching other libraries with WorldCat or ask us to find something.  When you're ready to request a book, drop by the library, e-mail us (jscclibrary@jamessprunt.edu), or call us at (910) 275-6330. ILL items typically take at least 1 week to arrive, and loans from outside the system may take longer. Make sure you request books early enough to allow time to complete your assignments. When your books are available to be checked out, you'll be notified at your JSCC e-mail account. ILL service is provided at no charge to students, staff, and faculty. Charges will be incurred for overdue, damaged, or lost items. Our access to these shared resources depends on our good relations with other libraries. Please respect materials and policies of other institutions. Print or save these instructions for placing hold requests in the catalog. Need a journal article not available through the library's current subscriptions? Click here to submit your article request.